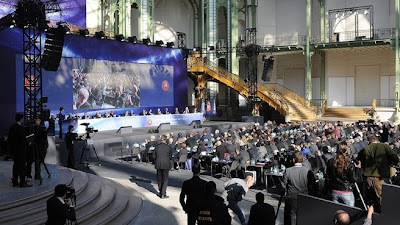 Europe's annual football parliament convened in Istanbul when the XXXVI Ordinary UEFA Congress took place. Representatives from UEFA's 53 member national associations were called upon to discuss and vote on a variety of issues at the Congress at Istanbul's Congress Centre. UEFA President Michel Platini addressed the Congress on UEFA's activities and achievements since last year's gathering in Paris. The main items on the agenda included approval of the report of the UEFA President and Executive Committee for 2010/11, and approval of the UEFA administration report for the same period.